Four Bedouin in private vehicles attempt escape from Be'er Sheva traffic police running over one. Four Bedouin traveling in a private vehicle in Be'er Sheva ran over a police officer from the traffic department in the afternoon and lightly injured him. The officer was evacuated to the Soroka Hospital for medical treatment. Investigation of the incident revealed that the police signaled the vehicle to stop after observing a violation. The driver stopped and policemen on motorcycles requested he identify himself. The occupants of the vehicle began to agitate for an altercation and interfere with police procedure. At this point, the driver of the vehicle began to reverse, hitting the policeman and lightly injuring him. 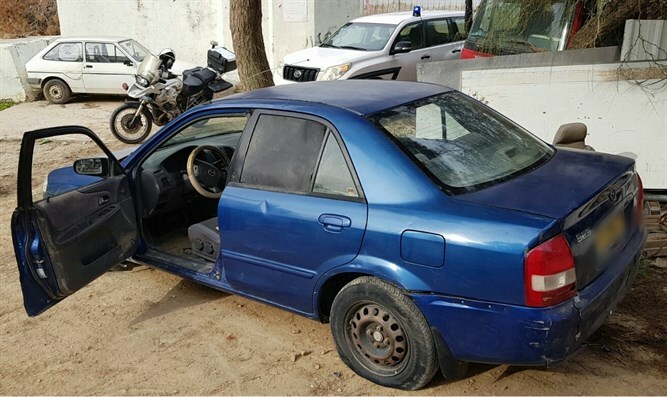 The vehicle managed to escape and the police began chasing him, during which the Bedouins attempted to run over the policemen, who were forced to fire at the wheels of the vehicle in order to stop it. The occupants were arrested and it was discovered that the driver had been disqualified to drive since 2016 and his driver's license had expired in 2008. There was also a suspicion that the driver was under the influence of alcohol due to a distinctive odor. The four Bedouins, residents of the southern region, were detained for investigation. Police said that "the police's determination while endeavoring to apprehend the suspects may have prevented a major disaster in view of the behavior of the driver and occupants of the vehicle."